Climbing a waterfall is a lot of fun! 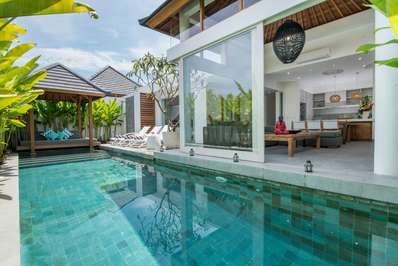 If your idea of a memorable vacation involves a host of exhilarating, pulse-racing pursuits, then the spectacular Indonesian island of Bali is the ideal destination. There’s a number of adventurous activities in Bali that you will love to try, whether you’re keen to challenge yourself with physically-grueling activity, or want to immerse yourself in the island’s rich culture at the same time. 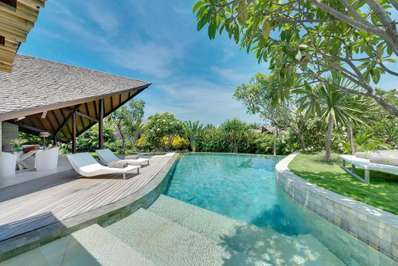 Active holidays in Bali give visitors the option to explore the gems of the inland areas or the jewels of the ocean, depending on your preferences. Active escapes in Bali range from adrenaline-pumping surfing and water sport retreats, through to one-off afternoon activities that you can pick and choose to pull together your own tailored itinerary. For those who can’t wait to engage their wild side and plunge into an active holiday in Bali, we’ve rounded up an eclectic selection of the most daring entertainment options. Bali is own of the world’s supreme surfing destinations, so for holiday-makers on the lookout for adventurous things to do in Bali, this water sport should be at the top of the list. Surfing is a classic favourite with many visitors planning an active holiday in Bali, thanks in large part to the array of world-class beaches and surf schools – many of which are peppered across the islands southern coast. The Bukit Pensinsula is a good destination for beginners, as there are plenty of suitable beaches packed with surf schools where you can master the basics before heading out to sea. Padang Padang beach is one of the most sought-after spots for beginner and intermediate surfers, and during high tide the waves are long, unbroken and exhilarating. Dreamland Beach is another hotspot for surfers, and is also situated on Bali’s Bukit Peninsula. The waves here don’t tend to soar too high, making the surf conditions ideal for those who are just learning the ropes of this fast-paced sport. The Dreamland Surf School is the most convenient place on the beach to rent equipment and book onto surf classes. If you’re keen to enjoy an active escape in Bali, then you can be confident that the island’s adrenaline-pulsing watery treasures aren’t limited to the coastline. In fact, white water rafting is one of Bali’s most popular attractions for daring travelers on the lookout for their own jungle adventure. The Telaga Waja River in Karangasem, East Bali, is the island’s most popular spot for those interested in the adventurous activities in Bali. There’s a plethora of tour companies that organise white water rafting tours in this region of Bali, including Bali Mask Tours. Their packages offer exhilarating rides down the Telaga Waja River, cutting a path through emerald valleys, towering cliffs, rocky rapids and past cascading waterfalls. The white water rafting track is about 13km long, and takes about two hours to traverse. Guides will shout commands to help you navigate the trickier parts of the course, until the safety of the finishing line. So, if you’re unafraid of a little adventure, this activity should definitely make it onto your list of things to do on an active escape in Bali. 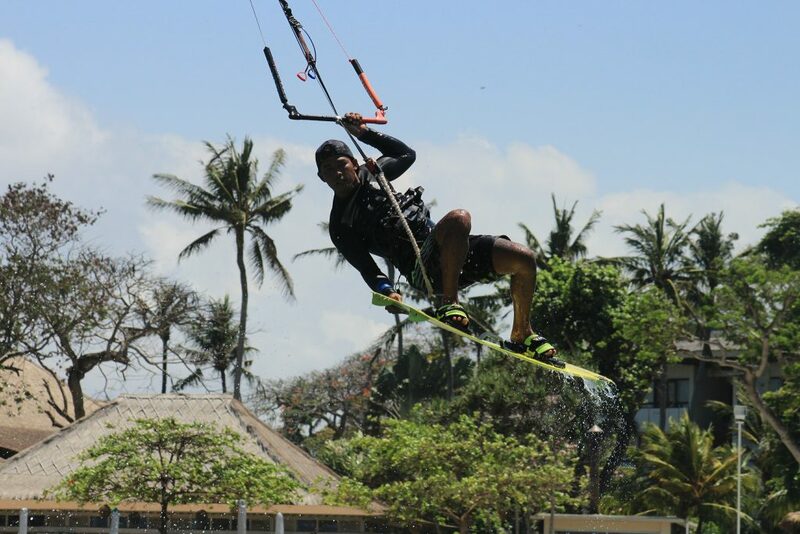 If you have a need for speed, kite surfing (or kite boarding) is one of the most adventurous things to do in Bali. This water sport is gaining popularity amongst adrenaline junkies who want to soar along Bali’s coastline, skimming along the surface of the water before executing extreme aerial moves. Wind speeds during the dry season, from May through October, are usually between 12 and 15 knots, making this the best time of year to try out this active pursuit. If you’ve never tried kite boarding before and would like to master the basics with a comprehensive beginners’ course, the Rip Curl School of Surf offers an array of options at it’s Sanur Beach branch. This stretch of Bali’s coastline boasts outstanding waves, and a personalised kite surfing lesson with one of Rip Curl’s experts will help you to make the most of them. One of the advantages of kite surfing is that you aren’t reliant on the speed or strength of the waves – all you need is the wind. Your instructor will be able to show you how to harness the power of the coastal gusts so you can enjoy a pulse-racing ocean adventure. If your idea of an active escape in Bali is tackling the opposing team in a fierce battle of paintball, then you’re in luck. The island is home to a selection of paintball arenas, perfect for visitors who want to galvanize a little team spirit and feed their hunger for adrenaline. One of Bali’s supreme paintball battlefields – Paintball Bali Pertiwi – is spread across a generous two hectares of land. Those on an active holiday in Bali can win or lose the game in a few seconds and a snap burst of color, so talking strategy with your teammates is essential. After donning authentic military-style gear, you’ll take to the course, which is home to an array of obstacles, bunkers and manmade wreckages. Many of these structures provide a useful hiding spot for when you need a timeout to re-jig your strategy while under attack from the opposition. The center offers a selection of packages, including pure paintballing, and paintball with rafting, ATV rides. While Bali is home to its fair share of hiking trails, the neighboring island of Lombok is home to the King of treks – the arduous climb to the peak of Mount Rinjani. If you’re an adventurous spirit keen to explore the best adventurous activities in Bali, then the short journey across to Lombok in order to hike this peak is a must. Towering above the rest of the island at an imposing height of 3,726m, Mt Rinjani’s peak is a spectacular position from which to enjoy an unforgettable sunrise or sunset. However, a trek to the peak is not for the faint of heart. Only hikers with a high level of fitness tend to make it all the way to the top – one of the reasons this challenge is one of the most popular active pursuits for visitors who make their way to Bali. Many people embark on the shorter two-day hike to the edge of a volcanic crater that’s en-route to the peak, where you can stop and soak up unforgettable views out towards the Gili Islands. Trekking Rinjani are one of the professional Lombok-based tour agencies leading hikes up to the peak of Mount Rinjani, and they offer a number of packages depending on how physically challenging you’d like the experience to be. 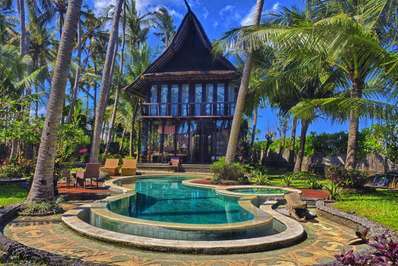 By the way, Lombok is worth spending at least 2-3 days there, for example, in one of those awesome holiday villas. If it’s active escapes in Bali that you’re looking for, that doesn’t mean you have to miss out on the island’s host of cultural treasures. Some activities – such as Mepantigan mud wrestling – combine culture and adrenaline. Almost extinct, this Balinese form of combat was revived by martial arts master Putu Witsen to preserve one of the island’s most ancient forms of contest. Essentially, this mode of fighting combines martial arts techniques seen across the world, bringing Balinese drama, dance and music into the mix, too. Of course, the best part is, the whole thing is done in thick pools of mud. If you’re keen to learn the moves of Mepantigan mud wrestling, it’s worth knowing this martial art is particularly challenging on a physical level – with the added layer of the thick mud adding to the obstacles you’re working against. Each round lasts approximately three minutes, with each fight comprising two rounds in total. In addition to traditional Mepantigan fighting, there’s also mud yoga and a mud sauna package for those who aren’t in the mood for an activity quite so physical. The furious crystal cascades of water that punctuate Bali’s interior landscape attract thousands of visitors each year. However, if you’re planning the itinerary for your active escape in Bali, then what’s the point in photographing its stunning waterfalls from a distance when you can enjoy their power close-up? Canyoning is an excellent activity for those keen to experience the most adventurous things to do in Bali. It’s a test of strength, agility and daring, combining rock climbing, trekking and abseiling all in one jam-packed, white-knuckle activity. Adventure & Spirit Bali offer a selection of canyoning tours, including an exhilarating package which allows participants to explore the canyon of Kerenkali. The rocky chasm is divided into two parts, the first of which features an exhilarating sequence of jumps and water slides across imposing gorges of volcanic rock. The second part comprises descents down waterfalls (the highest is 26m), numerous swims and free jumping. If you’re planning your own active holiday in Bali, then why not combine the best of the island’s adrenaline-pulsing activities with stupendous views? If you’re afraid of heights, then the thought of soaring past Timbis Beach on a paragliding adventure is sure to make your heartbeat quicken. However, for thrill-seekers there really is no activity available that compares to gliding high above azure seas, powered by the winds of the Indian Ocean. Paragliding packages in this region can be organized through various tour agencies, including Gusti Bali Tours. If this is your first time in the air, then you’ll be heading up on a tandem flight with an experienced partner. In fact, its your paragliding instructor who will handle all the steering and management of the craft, so you’re free to enjoy the views and the exhilaration of soaring through the sky like a bird. A trip to Bali Treetop Adventure park provides the perfect afternoon of entertainment for those enjoying an active holiday in Bali. 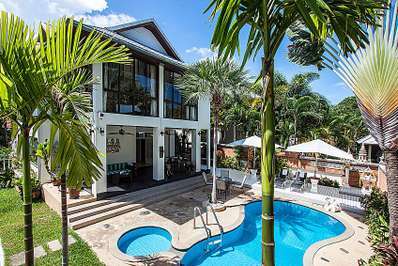 Set amongst the lush, landscaped setting of the Bali Botanical Gardens, this activity centre provides an afternoon of exhilarating fun – for both adults and kids. The park boasts an exciting selection of tightrope courses, zip lines, perilous-looking wooden bridges, flying swings and monkey ropes. The best part is, there’s a number of different courses for visitors to try out, ranging from the squirrel yellow and green loops for kids, to the adrenaline black circuit for thrill-seeking adults. There are seven courses in total, depending on your age and skill level. However, if you’re searching for the most adventurous things to do in Bali, then the adrenaline black circuit is a must. Courage and physical strength are a necessity for those that want to tackle this challenge, as it features parrot ladders, flying trapezes, Tarzan jumps and monkey tracks. Even if you are in the throes of planning your active escape in Bali, be warned – this challenge is not for the faint of heart! While Bali provides an idyllic sandy haven for beach bums, it’s also an excellent destination for speed junkies. One of the adventurous things to do in Bali to really feel the wind in your hair, is ATV (all-terrain vehicle) riding. If you enjoy extreme sports, but don’t fancy pushing your body to it’s maximum physical limit, this is a superb option as the quad bike will do all the hard work for you. There’s an array of quad bike tours operating throughout the island, one of which is Bali ATV Tours. The stunning region surrounding the Taro River provides an excellent site for quad biking, thanks to the varied natural terrain that is sure to keep your ride as exhilarating as possible, with a surprise at every turn. You’ll zoom through tropical jungle, plantations and local village, with awe-inspiring sights punctuating your ride throughout. Typically, each tour lasts about 2.5 hours, so you’ll have plenty of time to really delve into the lesser-known countryside of Bali and experience its stunning highlights. 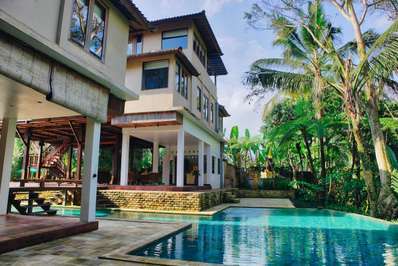 Not sure where on Bali to stay? The island is full of options that allows you to stay near the attractions that you enjoy the most.